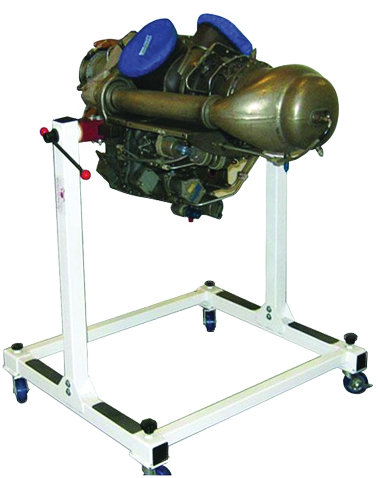 Model AE-03-250 is a teardown Allison 250 turboshaft engine mounted on a mobile stand. The Allison 250 is a very popular turboshaft engine. Its simple design makes it a valuable training aid. The teardown engine is used for hands-on training for the dis-assembly and re-assembly of engine parts and sections. The students can also perform engine inspection.In conjunction with our Model AE-04-250 Allison 250 engine cutaway, students can gain a thorough familiarization with engine construction, assembly,and operation. The teardown engine can be supplied with a high quality computer based training (CBT) courseware at an additional cost. The CBT covers the turboshaft engine construction and operation in detail with rich multimedia contents. The CBT may be used by students for self paced learning, and it may also be used by instructors to present high quality graphics and animations during the classroom lecture.